AAA has experience in instantiating self-managed projects and encouraging inhabitants to get access to and critically transform misused or underused spaces. We develop urban tactics to accompany micro-processes and enable rifts within the standardized urban contexts, which are regulated by private economic interests and centralised policies. We have proposed for this workshop to work in the context of Isola neighborhood in Milan, together with the team which has run for some years the Isola Art Center in Stecca, now demolished. 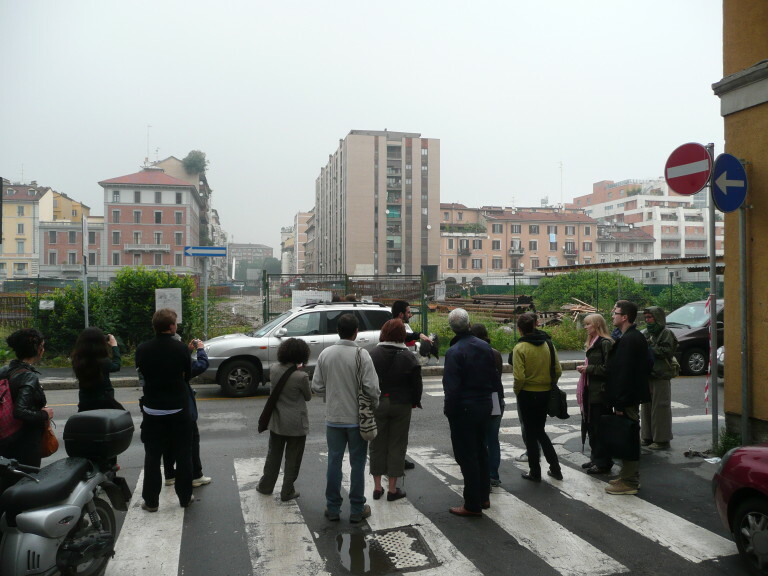 Isola is now subject to forced “regeneration” and “urban development”, and many of its current inhabitants are opposed to the different projects proposed by City and the real estate multinational Hines. Isola Art Center has been hosted after eviction by other venues such as associations, shops, public spaces, and part of its team is still active in creating a new field of cooperations. Together with members of this team, students and inhabitants, we will map these manifestations of resistance and those who have initiated or participated in them. We have started by visiting places, speaking with people, collecting data, representing and making visible the invisible relationships. We have planned a number of tactics together with those involved ( ie. Isola Art Center team, Forum Isola and other neighbourhood organisations) and, hopefully start to try some of them. Who are the powers involved in and conditioning the future of Isola? How are they structured? What games are they playing? What are the rules of these games? How could we interfere with them? What are their weaknesses? How can we play within these weaknesses? 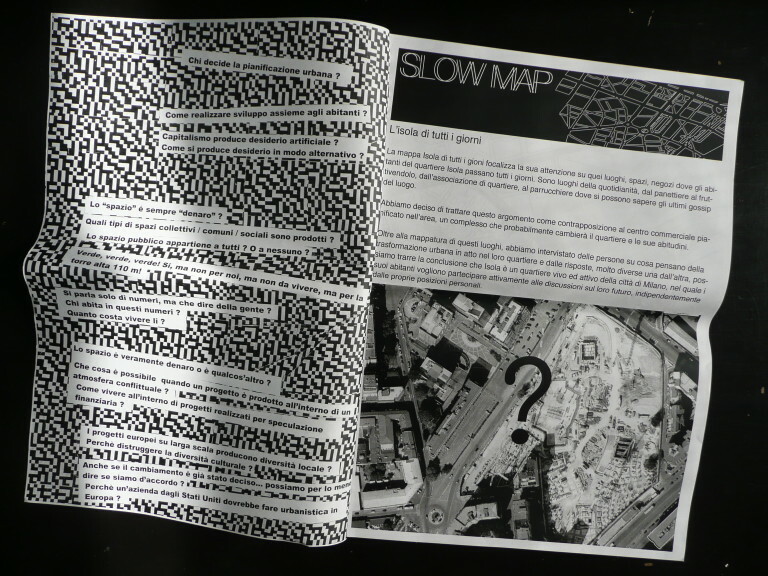 Drawings, maps, interviews and different discussions initiated within the process of mapping have been recorded in a fanzine which will hopefully continue to be published by a team of students and inhabitants of the area.